Groundradar’s Jamaican partners have commenced a large mapping project with UltraGPR for karstic bauxite in St. Ann Parish, Jamaica. The project is expected to last at least five months and covers some 400+ hectares of ground at tight grid spacings. WorleyParsons conducted a UltraGPR survey in remote eastern Kenya to map fractures at a proposed petroleum installation. 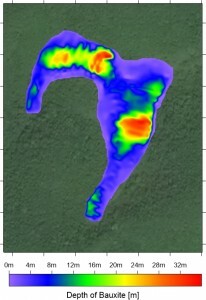 Nearly 50 km of data were surveyed on foot over three days. Groundradar has been working with RioTinto to develop a custom radar system for use at their Weipa bauxite operations in Australia. The ultimate system will be a real-time sampling, multi-frequency, completely wireless and waterproof radar which is designed to map both the depth of bauxite as well as the fine detail of overburden thickness and lithological variations within the bauxite. 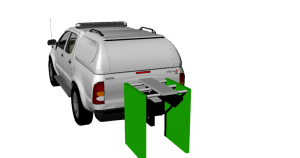 Positioning will be accomplished through the use of a RTK GPS at 20 Hz.